Maryland Day commemorates March 25, 1634, the day settlers disembarked from two small sailing ships - the Ark and the Dove – onto Maryland soil. 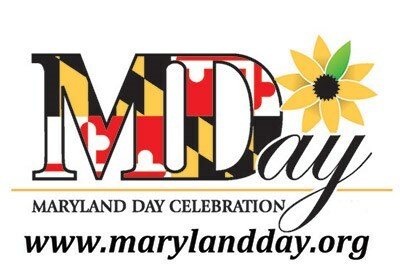 Celebrate Maryland's 385th anniversary with ceremony, pageantry, speeches, and free admission to living history and museum exhibits. 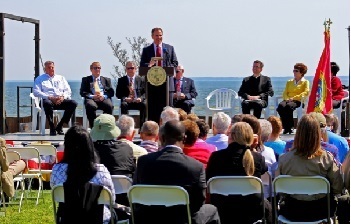 This free events begins at 2:00PM and all visitors enjoy free admission to the museum in celebration of English colonists first landing in Maryland at St. Clement's Island in 1634. Visit, tour and enjoy over 40 special events at historic homes, museums and cultural sites in Annapolis and Southern Anne Arundel County all weekend with $1 admission (some are free). A perfect weekend to spend with family and friends. 4 Maryland Day: Experience It! Visit the William Paca House and Garden and find the house full of excitement and conversation as the Pacas and their friends, portrayed by the Annapolis Living Historians, prepare to welcome visiting dignitaries. Experience the wonder of the Old Line State with Maryland-themed crafts and games for visitors of all ages. On Sunday, take a guided tour of the William Paca House for a special price of just $1 and explore Mr. Paca’s 2-acre pleasure garden. Then be sure to stop by Hogshead for more hands-on living history fun. 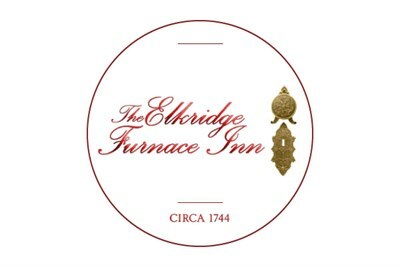 Walking Tour of the Elkridge Furnace Complex followed by a buffet dinner at our Garden House. The Elkridge Furnace Complex boasts history from European exploration in 1604. It is on the National Register of Historic Places.